Credit scores play a major role in determining for which mortgage product or loan you will qualify, and to which rate you will be assigned by your lender. In April 2008, both Fannie Mae and Freddie Mac introduced something called Loan-Level Pricing Adjustments (LLPAs), also known as “Loan Delivery Fees”. Loan-level pricing adjustments are percentage of a loan amount added to a loan fee, based on a specific borrower’s FICO credit score and LTV. Note: For loans with LTV > 80%, additional fee known as PMI (Premium Mortgage Insurance) will be added to the Mortgage payment. · The higher your credit score, the lower your Loan-Level Pricing Adjustments (LLPA) rate will be. · The higher your credit score, the lower your LLPA Added Fee + Mortgage Insurance will be. · The higher your credit score, the lower your mortgage or interest rate will be. Example 1: A home purchase at $300,000 with 20% down carries a Mortgage loan of $240,000. LLPA added loan fees which are due at closing for borrows with credit score of 741 and 655 are $600 and $7,200, respectively. As you see, the borrower with lower credit score of 655 will pay extra amount of $6,600 compare to the borrower with credit score of 741. 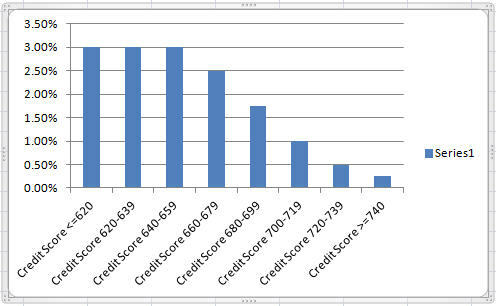 This shows an example of a negative impact or cost of a low credit score on a mortgage loan. Example 2: the monthly payment (Principal + Interest) of a $250,000 loan with 30-year fixed rate of 3.5% and 4.5% would be $1266.71 and 1122.61, respectively. 1% increase in the interest rate in our example will cost the borrower an additional $51,876 in his/her 30-year loan term. The higher your credit score, the lower your mortgage or interest rate will be. If you plan to use a mortgage for your next home purchase or buy a car, you will want to keep your credit scores as high as possible. 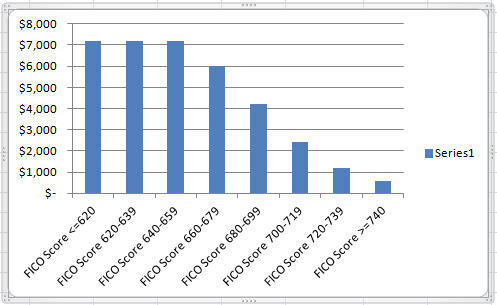 Click What is a Credit Score to see how you can access to your credit score. 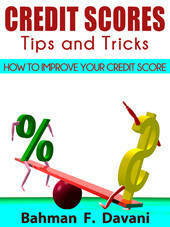 Click this link to see What makes up a credit score and tips on how to improve it. By the Way, time is 11:00 AM, do you know what your credit score is?